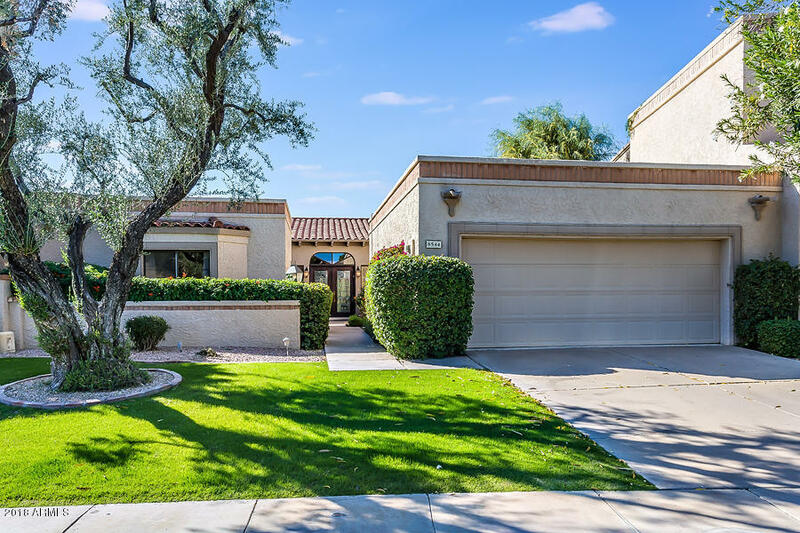 All Las Palomas homes currently listed for sale in Scottsdale as of 04/26/2019 are shown below. You can change the search criteria at any time by pressing the 'Change Search' button below. "Come experience this breathtaking view property on expansive sized lot overlooking Lake Marguerite in Las Palomas...nothing like it on the market absolutely phenomenal views, home was completely rebuilt with no expense spared, large courtyard entry w fountains, Gourmet kitchen opening to family room & bar overlooking the incredible views, solid wood doors, elevator, theatre with built in wine fridge and shelves, 3 master suites & attached guest casita with kitchen and separate entrance, incre"
"Spectacular McCormick Ranch Waterfront Luxury Patio Home. Original snowbird owners are putting this wide lot waterfront home on the market for the very first time. Single level with 3 bedrooms + large den/family room, 3 baths (every bedroom is ensuite). Las Palomas is guard gated, surrounded by 3 lakes providing privacy and stunning views and features 3 community pools, 2 tennis courts & a dog park. Las Palomas is one of McCormick Ranch's finest neighborhoods, with the Camelback walk & bike path"